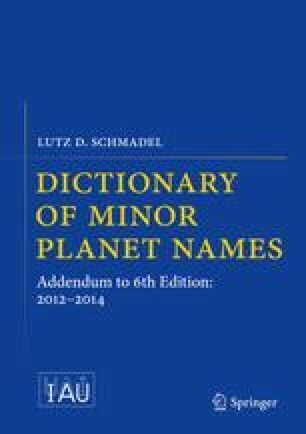 The introduction to previous editions of the “Dictionary” started with statements deeply influenced by the breathtaking evolution of minor planet astronomy during the last decade. These sentences, characterized by a tone of disbelief and astonishment about the explosive dynamism of this field, hold more today than ever: “In a period when discoveries flourish, more and more minor planets are being discovered; it is inevitable that this dictionary can be no more than an inventory of the situation at this moment. A compilation of this nature is by definition bound to be out of date before it appears in print.